Incorporate elegance into your fashion edit with our beautiful Josie Midi Skirt. Made with medium weight cotton blend that has a subtle stretch. Model is 5’9″ and wears small. Crafted with premium 97% cotton, 3% elastane. Cotton fibers are fully biodegradable and compostable. Garment has been pre-washed, and is machine washable. Garment is made ethically and sustainably in limited quantities. I get compliments whenever I wear this gorgeous skirt. The fabric is substantial and the details are very unique. The color is amazing, as blue is my favorite color. 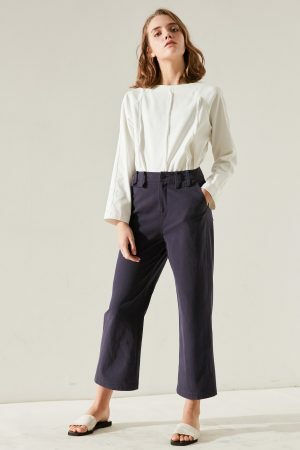 I also got the Kai Knot Top in light blue and together they make for a wonderfully elegant outfit. Will be checking back frequently for new styles!